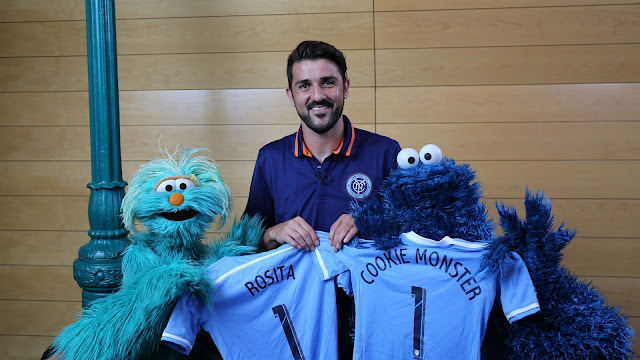 NYC is Blue: David Villa, "Sweeping the Clouds Away"
David Villa, "Sweeping the Clouds Away"
Me have faith in you soccer ability too, David Villa. I love it, and not only because there's a significant overlap between Sesame Street viewers and NYCFC fans in my apartment. Because New York is Blue. From the Bronx all the way down to Sesame Street.